Make a lasting impression with our swoon-worthy Sugarfina Candy Trunk. Filled with delicious sweets and luxurious details, this over-the-top trunk will earn you the award for best gift-giver ever. Open the polished brass lock and lift the lid to reveal 20 of our favorite candy cubes, beautifully nestled into a tiered display lined with luxe velvet. With a leather handle and polished brass corners, this beautiful blue trunk is a signature keepsake long after the candy is gone, perfect for storing and displaying jewelry, tea, curios and more. 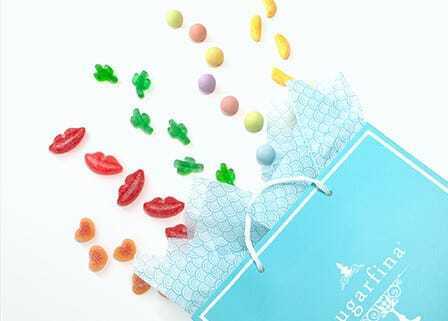 The Sugarfina Candy Trunk includes our 20 best-selling candies in flavors to please every palate. Each lucite cube contains approx. 3.5oz candy. With an infusion of Whispering Angel Rosé in every bite, our newest rosette-shaped gummies are the perfect treat for any Rosé lover. Dressed up in tiny white nonpareils, each juicy little bite bursts with the flavors of the finest champagne. Sophisticated yet playful, you'll love each bubbly "sip." Peach with a pucker... These all-natural gummies are filled with a juicy peach center, then dusted in sweet & sour sugar crystals for a mouthwatering taste sensation. Our sweet & sour gummy lips are made with all-natural flavors of watermelon, strawberry, and bubble gum and dusted in sugar crystals for a lip-smackin' mouthwatering sensation. Our classic Dom Pérignon Vintage Champagne-infused gummy bears are dusted in sweet and tart sugar crystals for a sophisticated taste that really "pops." These hard candy rosettes are infused with the delicate flavor of pure Italian rosewater. Bright green apple flavor perfectly harmonizes with vanilla apple foam, for a taste that will get your taste buds hoppin'. Fresh-roasted California almonds are dipped in creamy white chocolate, then painted to resemble a martini olive. Rich & creamy caramels are dipped in ultra-fine dark chocolate, with just a kiss of sea salt. From Paris with love, these darling baby pineapples are made with fresh pineapple purée for an all-natural tropical treat. Spiced dark rum is paired with bright & bubbly cola for a sweet, spirited flavor with a Caribbean twist.  Tiny milk chocolate droplets are coated in a delicate sugar shell, in dazzling Sugarfina hues. A rich and creamy caramel egg center is surrounded in premium dark chocolate, then dipped in a delicate candy shell. These sweet baby butterflies flutter in flavors of strawberry, lemon, apple and raspberry.